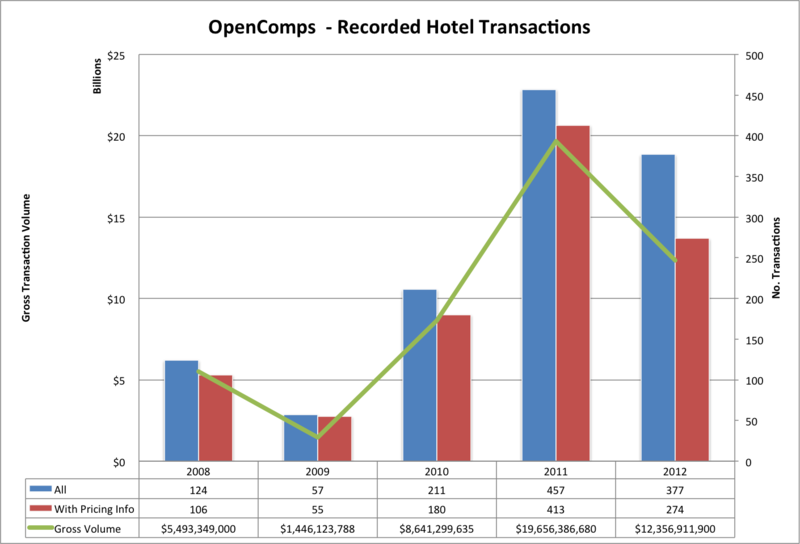 As a follow up to the 2012 Year in Review for Hotels, we thought this graph would be interesting to highlight the slowdown in hotel transactions we observed in 2012. Hopefully, in 2013, we’ll see a return to growth. And hopefully in 2013 we will also make such trend information more easily and interactively available right within OpenComps. This entry was posted in General and tagged 2012, hotel, statistics on February 8, 2013 by Svetlin.